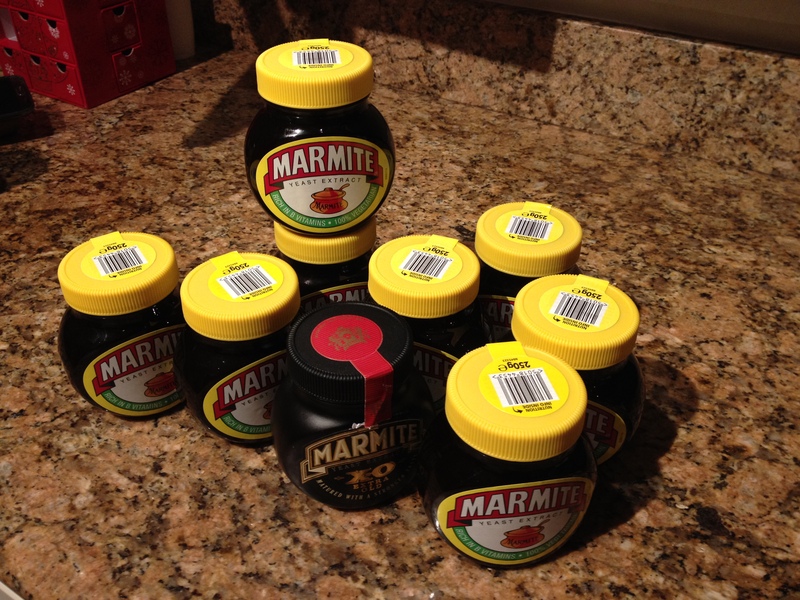 This is what Brits (well, these Brits anyway) bring back to America: Marmite. Not because we can’t get it here, but because it’s significantly more expensive. The smallest jars (125g, the only ones we can get) cost $7 (£.4.27) here, but a whopping 500g jar costs just £3.49 ($5.72) in the UK. No contest.